Positive Creations: Cover of Concrete Wave n more! 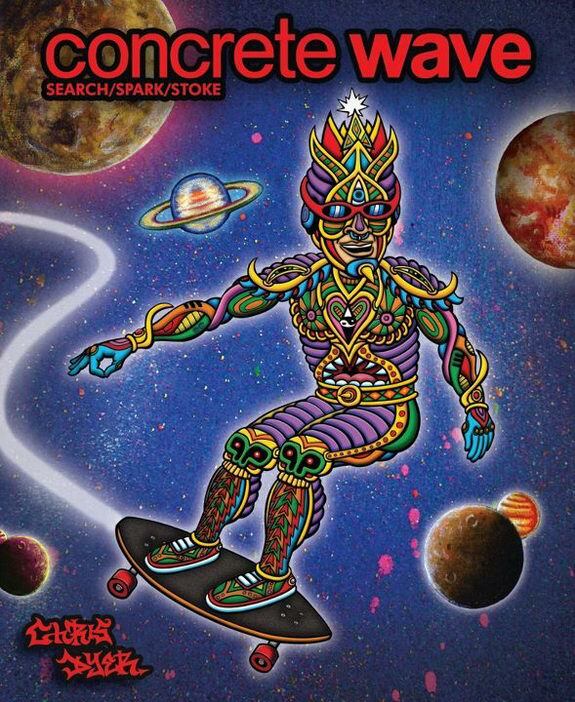 This week the new Concrete Wave Magazine came out and I did one of the covers for them. This is pretty huge as they reach around 100,000 people. In this mag there is also a 2 page article about my new book and later another 8 page article about longboarding spirituality that was completely illustrated by me. So if ya like my art, go n grab a copy!!! 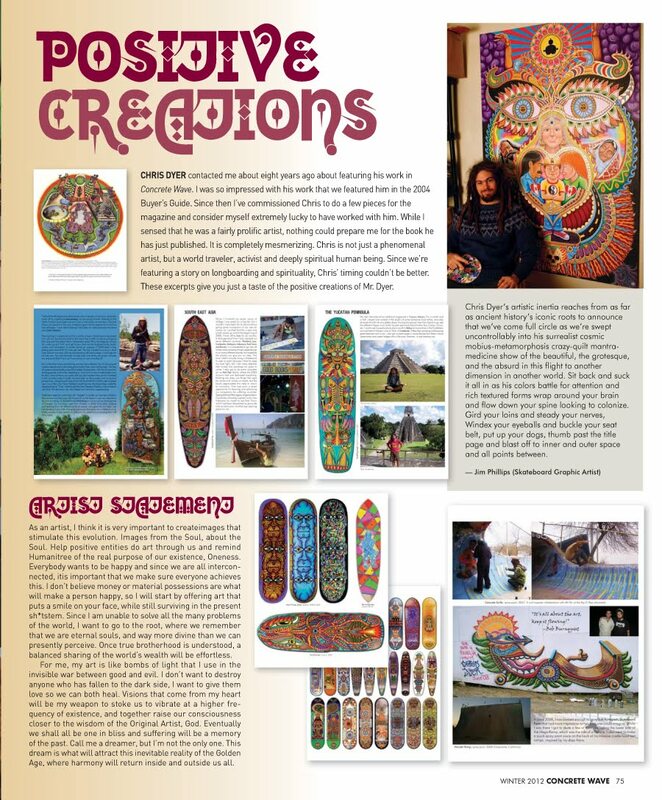 Im stoked cause this is another success in introducing positive spiritual (visionary) art into the skate industry that dosnt get so much of that.